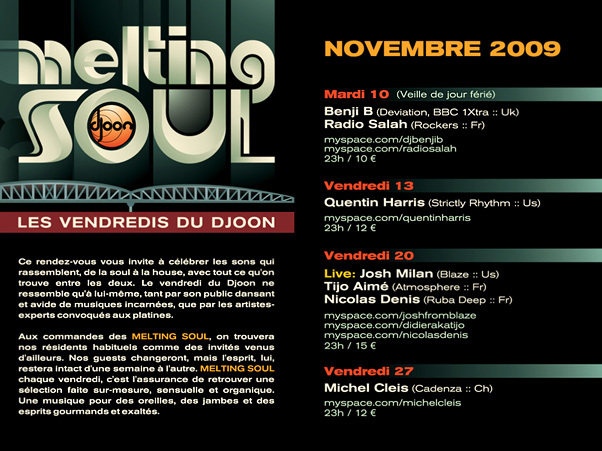 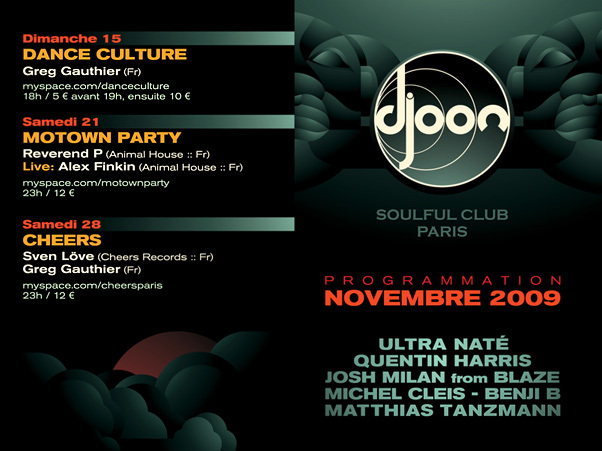 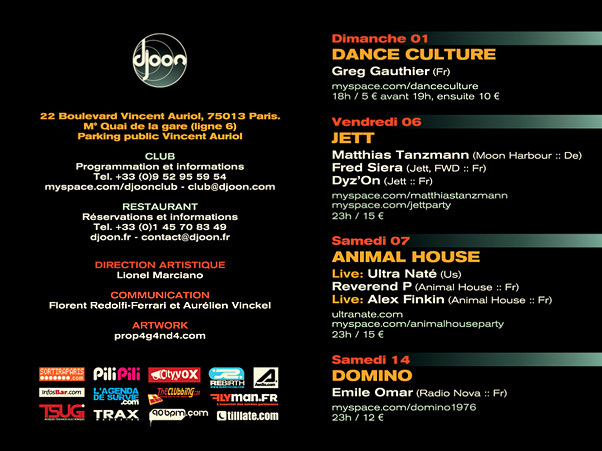 Description Monthly schedule/booklet for Djoon club in Paris (France). 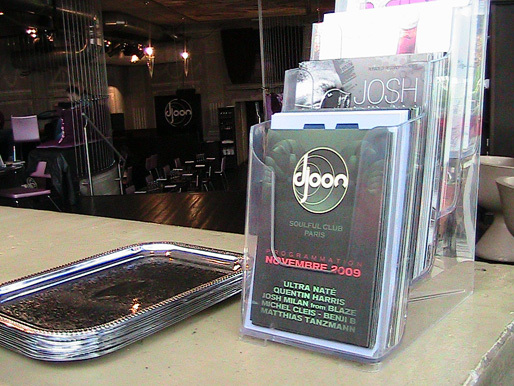 The initial brief was the creation of a special identity for Friday nights at Djoon club. 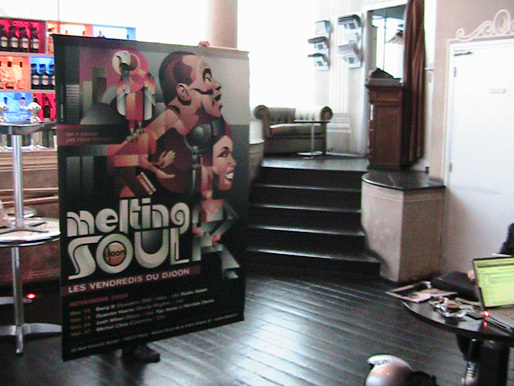 These were meant to be called MELTING SOUL, reminiscent of the Melting Pot name that has been given to metropolitan New York, due to the variety of cultural elements which blend together in the city. 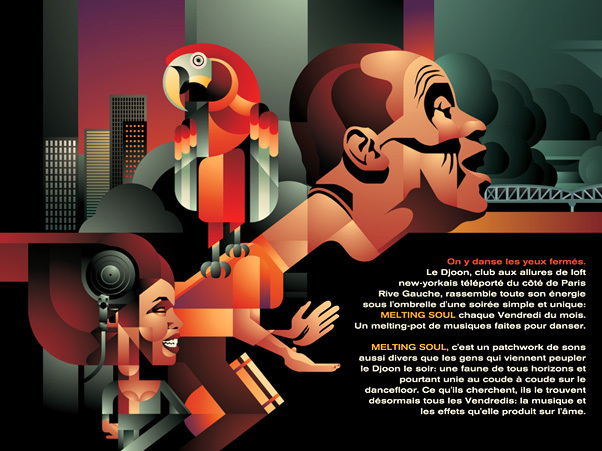 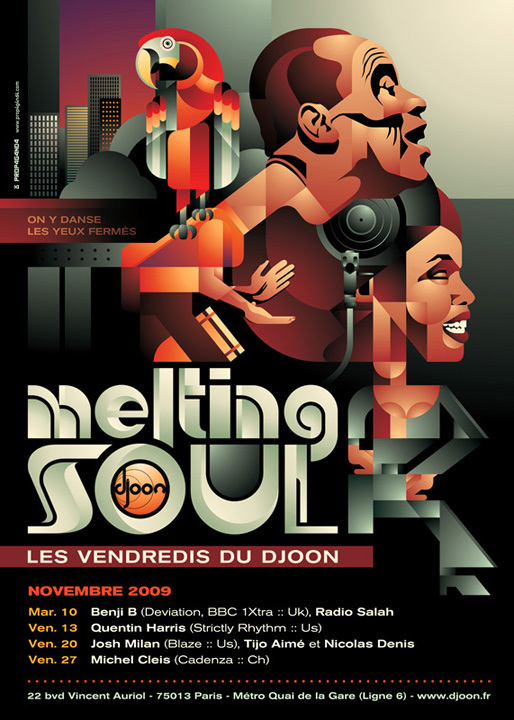 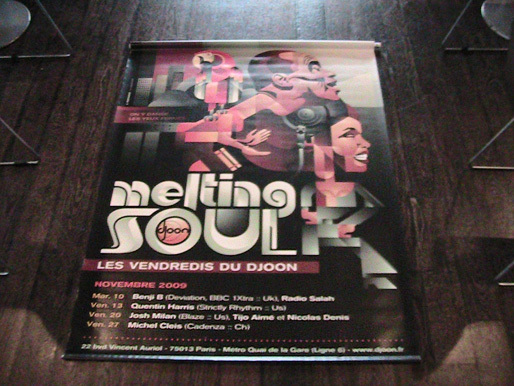 The MELTING SOUL brand was particularly asked to be an important point of focus in the visual puzzle of the series, keeping the DJs in a secondary role. 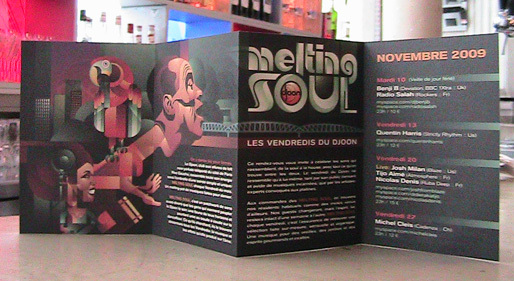 This identity was to be applied in monthly posters, flyers, brochures etc. 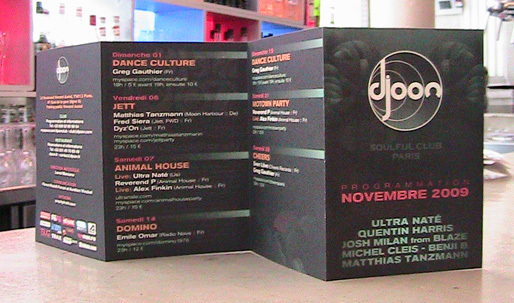 during the season and would express 3 musical paths: Deep House, Soul/Funk/Disco and Afro Caribbean/Latin.